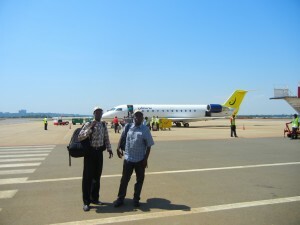 Saturday I made my last journey into the country of Uganda. I traveled there to complete graduation ceremonies for the BSI pastors down on Lake Victoria. As I crossed the border and had my passport stamped one last time, I felt the sweet presence and joy of the Lord. I know when we get to heaven; we look forward to hearing, “Well done”, yet for me, in only the way my sweet Lord can speak, He spoke to me these words as I crossed the border. Please understand, He was not speaking the words “well done” for anything I have done. He was speaking of our journey these past 3 years in Uganda, in which He completed His plans and purposes for my part of His eternal kingdom work there. I have realized how the hand of God transformed the lives of so many of these men of God. Out of the 11 pastors in Busia and the 16 pastors at Lake Victoria, who have now graduated, I could tell you stories of each of them. Yet, I want to write my last post about Uganda, highlighting two pastors that I know without a doubt will hear the words of our Lord, “Well done”. 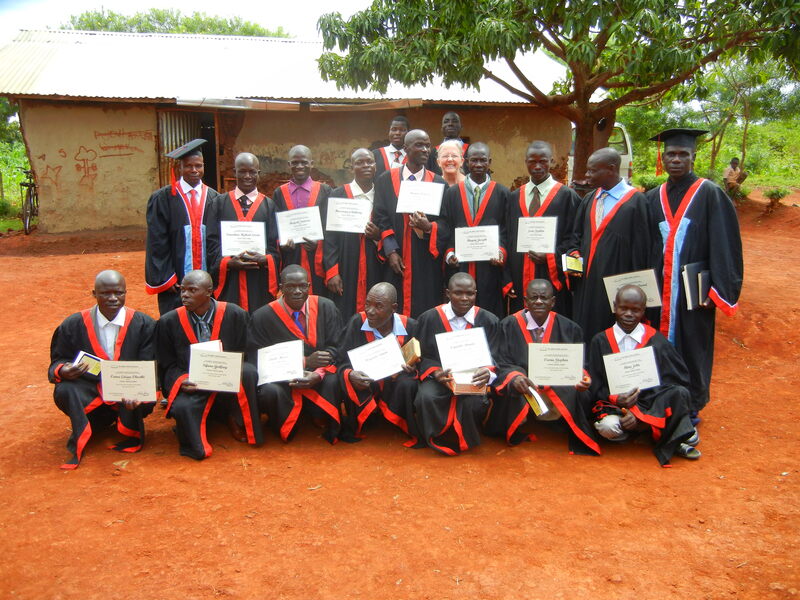 Many of these pastors have stories that would encourage and touch your hearts, yet without a doubt, out of all of the pastors, these two men overcame the most difficult circumstances to graduate. These is Pastor Francis Wafula. You can’t tell in the picture, but Pastor Francis’ glasses are extremely thick. His eyesight is very limited for reading. Yet, this sweet man of God persevered and accomplished what most thought would be impossible. Without a doubt Pastor Francis spent twice as much time as any other student completing his homework assignments, which were 100% reading and writing assignments. What a joy for me each week as he handed in his homework and I got to see the hand of God at work. Not only was Pastor Francis struggling with his eyesight, he also struggled as he was the only pastor in class without a godly wife encouraging him. Pastor Francis is married, but his wife refuses to have anything to do with God or the church. 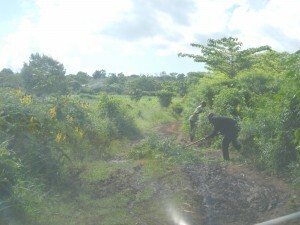 Yet, these circumstances did not keep him from accomplishing his goal of graduating. I think it is an accurate statement to say, that in all the classes with Pastor Francis, he never spoke more than 100 words. He exemplified true humility and Christ likeness. I learned so much from his silence. This is Pastor John Mina. 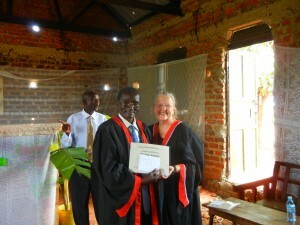 Pastor John has had special place in my heart since I first came to Africa. I met him at the very first conference I participated in when I first arrived. Pastor John as you can see does not have legs that work. He has spent his life in this condition, yet, it has not detoured him from becoming who God created him to be. Pastor John lives 45 minutes by car away from the BSI class, which is 1 1/2 hours by bicycle, or for Pastor John several hours walking. Pastor John walks with his arms, he even wears shoes on his hands when he is walking. 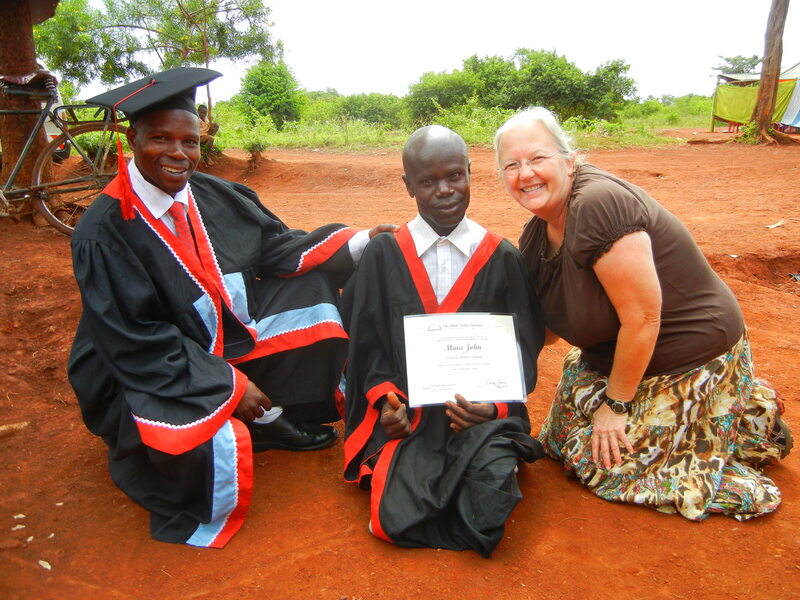 In the two years Pastor John has been taking the BSI classes, he has never had a car bring him to class, only another pastor who travels from his home to Pastor John’s home and brings him to class by bicycle. Pastor John is a dedicated pastor, husband and father. 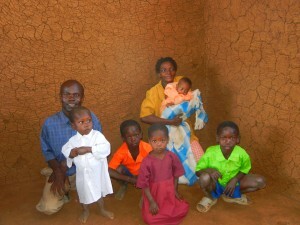 I visited with him and his family just before I moved to Kenya. There is no furniture in their home other than some small stick type chairs. He and his family would be considered the poorest of the poor by the world’s standards. Yet, he is one of the richest men I know as God has showered him with a beautiful family, a loving church family to shepherd and now a diploma which is more valuable to him than any material possession could ever be. 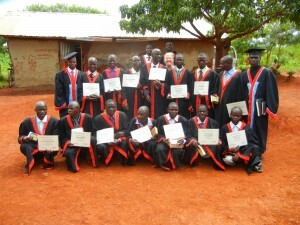 The value is not in the diploma, the value for Pastor John is in the knowledge of Gods Word he received along the way. I can’t help but wonder what that day is going to be like for all who had good eyesight, good legs, and no hindrances to keep them from doing great and mighty things for God while on this earth. Recently, I had a good conversation with my son, Bryan. He and his wife serve faithfully in our home church middle school ministry. We had been praying for workers to serve and it was wonderful to hear that all but one of the positions needed had been filled. As we were talking, I shared how I struggle with not understanding the sit and soak mentality of Christians. I told him that I just didn’t get it…I don’t understand why most churches are struggling with not enough workers. I don’t understand the concept of spending your whole Christian life sitting in a pew or a Sunday School chair and soaking up what’s given out, but never taking what is received and pouring it back out into the lives of others. I will be forever grateful to Pastors Larry Wynn, Billy Britt and Steve Parr, who were my first spiritual leaders when I was saved 24 years ago. From the first day I was saved I was taught that serving was part of Christian life. You read your bible every day, you pray every day and you serve in your church. These men of God taught us these lessons by example. My first place of service was in the middle school department. I was a brand new Christian and didn’t know much about anything, but Steve Parr encouraged me to be a part and through that open door, I met Judy Clay, Glenda Montgomery, Marge Hilling, Verba Brown and others who loved and accepted me with open arms. Through this first act of service as a new believer, God surrounded me with godly women who impacted my life forever. All I did in my first act of service as a new believer was pour drinks and hand out snacks. Yet, in this simple task I was entrusted with, I learned a life lesson that is still just as important to me today. So, I want to ask all of you reading this update…are you serving in your church, or are you sitting and soaking? If you are serving, then I want to say thank you for impacting the lives of others. If you are not serving, then I beg you to not delay in finding a place to serve. Think about those like Pastor Francis and Pastor John who could easily say they have an excuse for not serving, yet, serve faithfully. Let the stories of two of my hero’s be the encouragement you need to be obedient to what we’re all called to do. Spending 3 years in Uganda serving these pastors has transformed my life, just as serving drinks and snacks to middle school kids did 24 years ago. 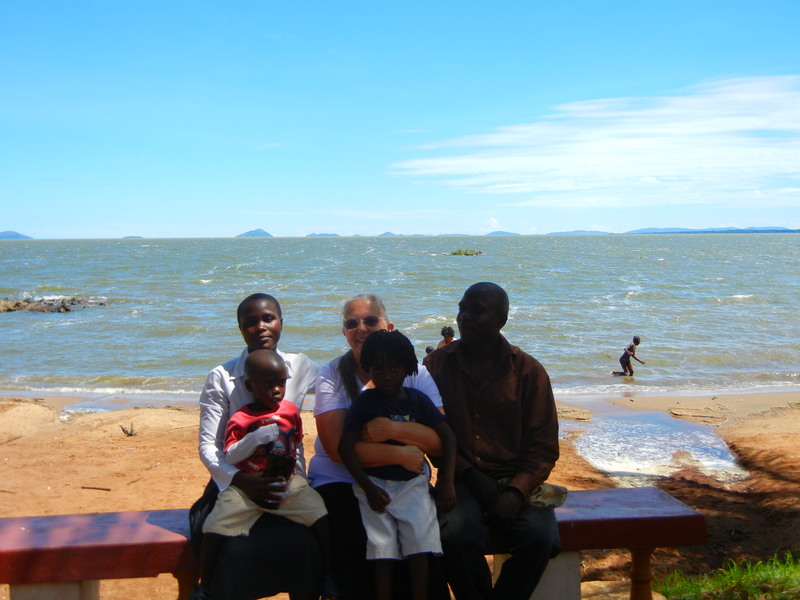 When I crossed back over the border, making my last journey from Uganda, I knew God was pleased .….and that my friends is the greatest joy that comes with serving. On Sunday I fly out to another part of Kenya to serve with an unreached people group before heading home to Georgia to see my family. Please keep me in your prayers as I continue to serve where He opens doors. 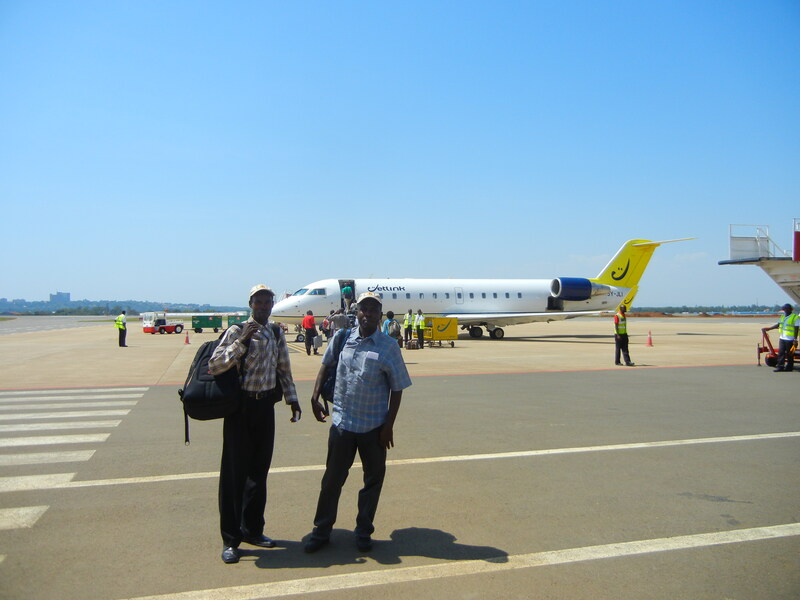 I’ll be home in the states throughout November and December and will return to my new home in Kenya the first week of January to began our 2013 Secret Church conference schedule here. As always I am so thankful for each one of you who faithfully pray for me, and support the work God has called me to do. Exposure to new places and new things is good. Sometimes it opens our eyes to a world unlike anything we’ve ever known. Such was the case last week as I made my first trip to the coastal city of Mombasa, Kenya for a Secret Church conference. 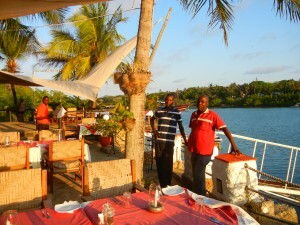 From an outward appearance, Mombasa resembles any port city, much like you would see in other parts of the world. 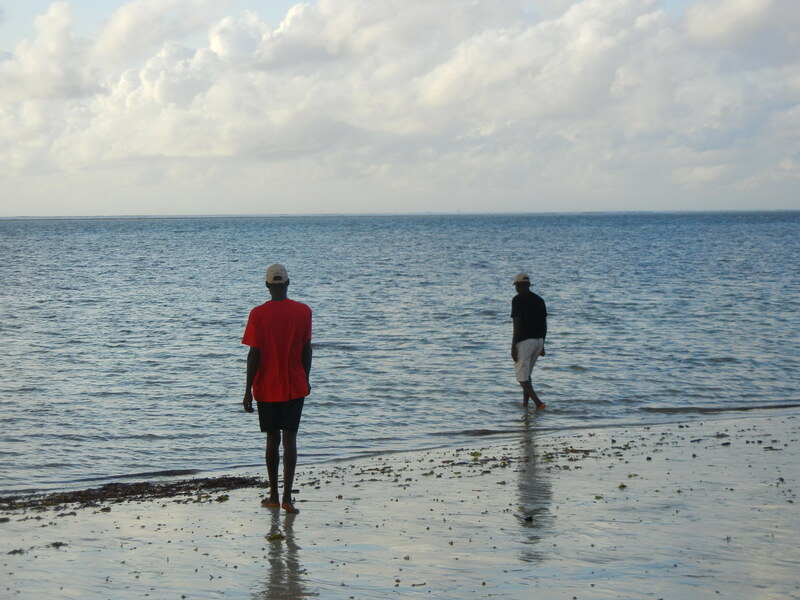 The vast Indian Ocean opens up as far as the eye can see. Cargo ships coming in to the port, or headed out to other ports in the world. The Mombasa port receives shipments not only for Kenya, but also the countries of Uganda, Rwanda, Congo, Sudan and others. The port business as you can imagine is a vital resource for this area of the world. Security is at its highest as the opportunity for theft and corruption are ever present. As you drive along the beachfront, you find 5 star hotels as well as private mansions. Yet, just one or two streets over, the scene changes and you find yourself in the midst of the drug world with prostitution and all of the other heartbreaking lifestyles that accompany such things. These scenes are not isolated, as in all areas of our world including my own country of America you can discover the same type of areas. Yet, for me, on this trip I had exposure to much more. Being in areas at times where I could feel I was not wanted. Our first stop after arriving in Mombasa was at the grocery store to purchase bottled water. From the moment I stepped out of the car until I returned, I was met with unkind eyes. No matter if I smiled or spoke, most often there was no return of the gesture. Driving along the city streets, being told we must keep our windows shut due to crime. Walking with someone in front of me and behind me to protect me. Yet, in the midst of this world of unknowns and uncertainties for me, I found beautiful treasures of Christian’s that are faithfully serving our Lord amidst the ungodliness of their surroundings. People who haven’t given up hope for winning their city for Jesus Christ. Pastors who have labored there for many, many years are still on their knees praying for the lost world around them. Godly laymen and women are participating in training others how to share the gospel with their neighbors, their co-workers and others. Churches have strategic plans in place to reach the unreached population around them. The Secret Church teachings were much needed and the Christians are longing for more. The In Touch Messengers were sent out with those who will have the opportunity to share them in settings where a bible or other Christian material could not go. Simply because its an electronic gadget creates curiosity and people will sit and listen to what it has to say. As I was sharing in our conference as we usually do about the persecution in our world, I looked around and realized that in this place, you don’t have to explain persecution; they know it by their own experiences. I’ve not posted pictures within this update of our conference in order to protect the identity of the Christians. Please join me in praying for our Christian brothers and sisters in Mombasa who are fighting the good fight, completing the course God has set for them. and ate their first salt water fish. 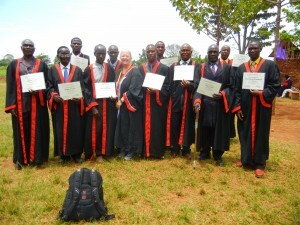 This was an exciting week for these young men who grew up in the bush! This completes our 2012 conference schedule as well as completes our team of 3 traveling together. 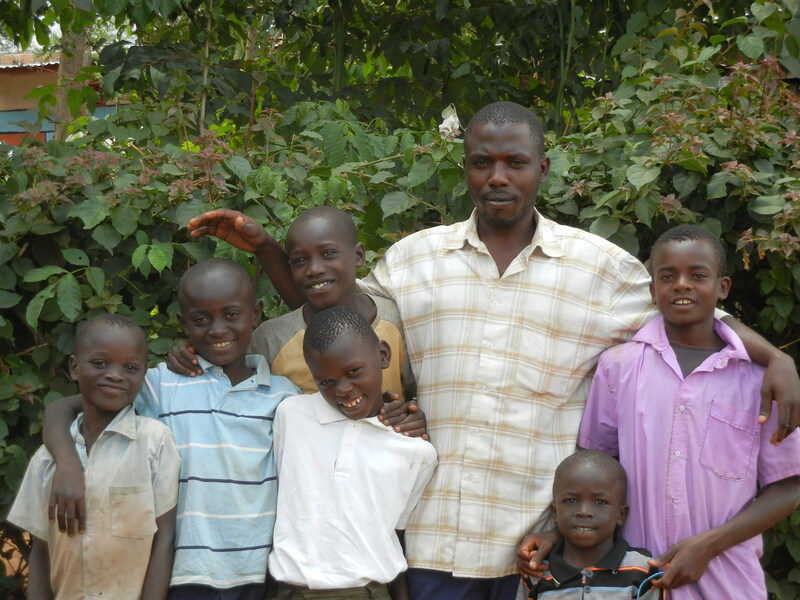 Sezi will continue to live in Uganda with his family as Helping Hands has hired him on as their full-time driver. 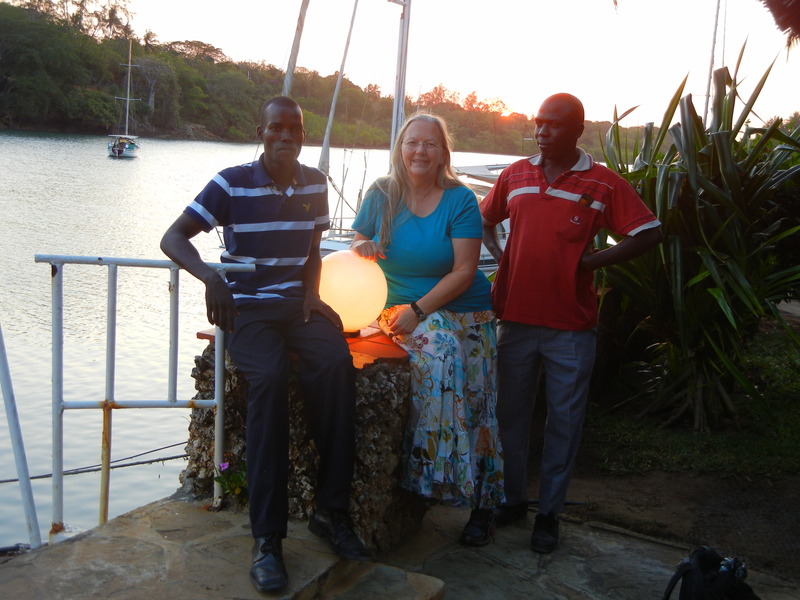 Sezi will always be family to me and we will visit often, yet, it is not easy to think of our travels without him. 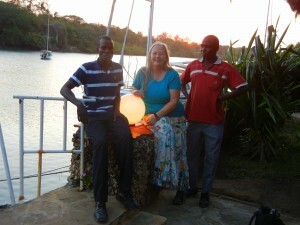 In July, 2010, a team from my home church, Blackshear Place, was doing bush church services in the evenings. 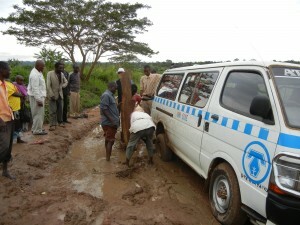 Sezi was one of the drivers for our team that night and my missions Pastor, Kevin Ross witnessed to Sezi. When he told me about this driver surrendering his life to the Lord, Holy Spirit spoke clearly to me, that this was the driver God was sending me. Since that time he has been my only driver. We have traveled all over East Africa together. He has been a loyal and devoted friend and “African Son”. My family and I are forever grateful to him for his care of me over these years. These are just a few of my favorite memories with Sezi. Sezi makes new friends everywhere we go. When he disappears, we always know we will find him surrounded by children he sharing the love of God with. I would ask all of you to take the time to thank our Heavenly Father for every moment Sezi has kept me safe from harm, and taken me where God told us to go. Ask our Heavenly Father to bless him and his family abundantly for his faithfulness to me. The Life and Mission of Joy Breedlove is powered by	WordPress 3.4.2 and delivered to you in 0.163 seconds using 40 queries.